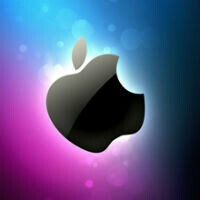 According to a report from Wells Fargo, the number of carriers that Apple deals with has risen to 323. The banking firm's analyst, Maynard Um, surely ran out of fingers and toes when he counted the number of carriers partnering with Apple. This figure is up since the middle of April, when the tally was 316. It is also a 15.4% gain since October, when Apple had 280 carrier partners. Um says that the increase in the number of carriers dealing with Apple, comes after two fairly stable years during 2011 and 2012. As Apple increases the number of carriers it deals with, the quantity of iPhone units it sells should increase. The analyst says that if these new carriers are planning on selling the next iteration of Apple's smartphone, year-over-year sell-in figures should rise. We've already seen the results of adding more carriers, as Apple's international handset sales topped analysts' estimates last quarter. Why is Wells Fargo doing a study on how many carriers Apple has? It's because Well Fargo has an investment branch just like any other big banks. 323 Carriers, Millions of Overpriceness. No one forces you to buy, yet you're still fixed enough to come here and comment on it. Lolololololol. It seems that saying 'I don't care' is banned by law to you? What a great conclusion-taking skill you have. Being the first to respond, while claiming another guy as 'a guy running back to me like a lost puppy'. To stop the Idiocy, I'll have to stop now, and get away, while let other people judge who's lost the battle. Remember what Forest Gump once said - "Stupid is as stupid does"
I was just entertaining my self. I was going to say something along the same lines. Who cares how many carriers you have. Try dropping the prices down. The solution is not lowering the phones storage. Is um even a name??? Lol It sounds like umhh yeah.. It is news because PhoneArena knows that when its posts a story that people from both sides will comment on, it and generate/continue the fan war - which is what media such as PhoneArena loves. It helps generate revenue for them, except I block their ads on my phone and on my PC. So what is Apple going to do to grow iPhone sales once they are on all carriers worldwide? Finally make a better iPhone? The thing that stands out is how many more carriers Apple has included, yet their global market share has dropped. I suspect a larger screen will help their shares, but at the current rate, it's not a positive for them. Subsidies have been Apple's best friend. I'd even make a bet that if carriers dropped subsidies in the US, Apple's sales would drop as well because people would wake up to how much they actually are paying for their phones. Most high end smart phone cost similar if you didn't know. It's that they don't offer affordable smartphones, just high end.. This. Also.....that many carriers....and many claimed the iPhone going to just Verizon was ...The Death if Android.... I think its safe to say nothing Apple does or can do will kill off Android. I read some local news in my country Indonesia, they mentioned that apple is about to open the representative office in Jakarta, it's called Apple Indonesia. What next Alan.F? Are you going to write an article on how many lavatories the Apple HQ has?